Pryde, Philip (ed). 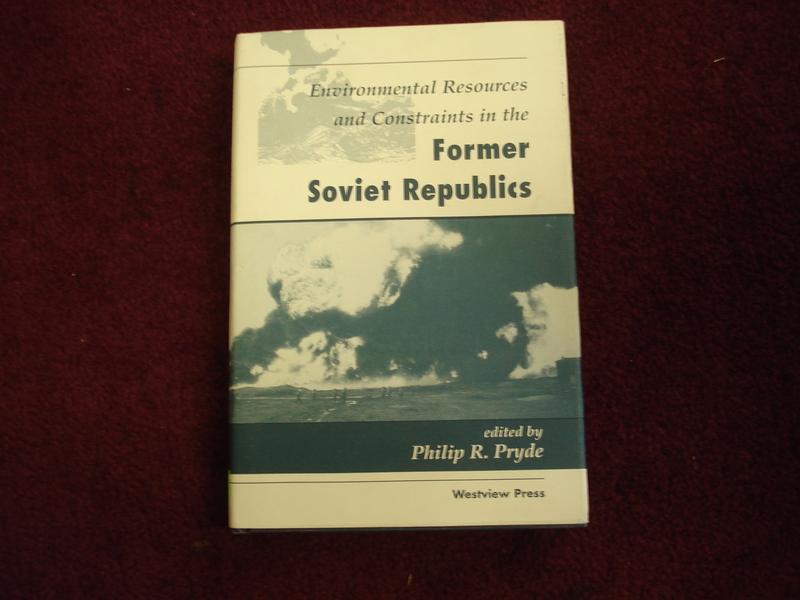 Environmental Resources and Constraints in the Former Soviet Republics. Photo available. Boulder. Westview. 1995. Octavo. Hard cover. First edition. Illustrated. Fine copy in fine dust jacket (in mylar). Pryor, Alton. Cowboys. Signed by the author. 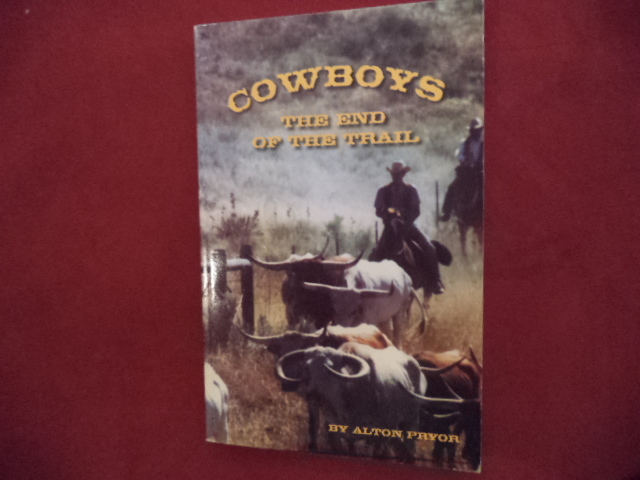 The End of the Trail. Photo available. Rosevile. Stagecoach Publishing. 2006. 195 pps. Octavo. Soft cover. Second edition. Illustrated. Important reference work. Signed by the author. Fine copy. Pryor, Alton. 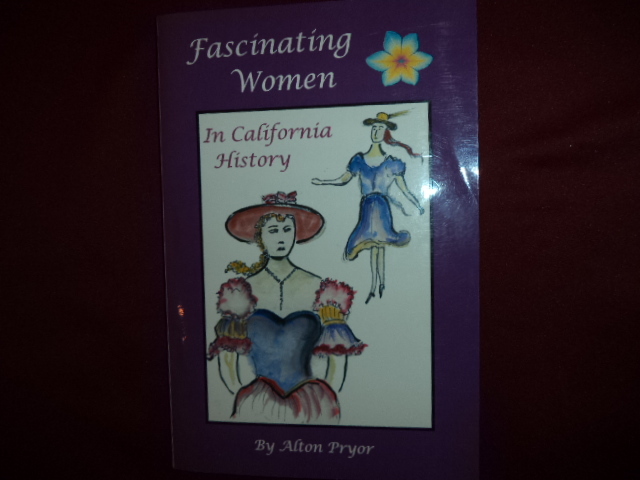 Fascinating Women in California History. Signed by the author. Photo available. Roseville. Stagecoach Pub. 2003. Octavo. Soft cover. First edition. Illustrated. Signed by the author. Fine copy. Pryor, Alton. 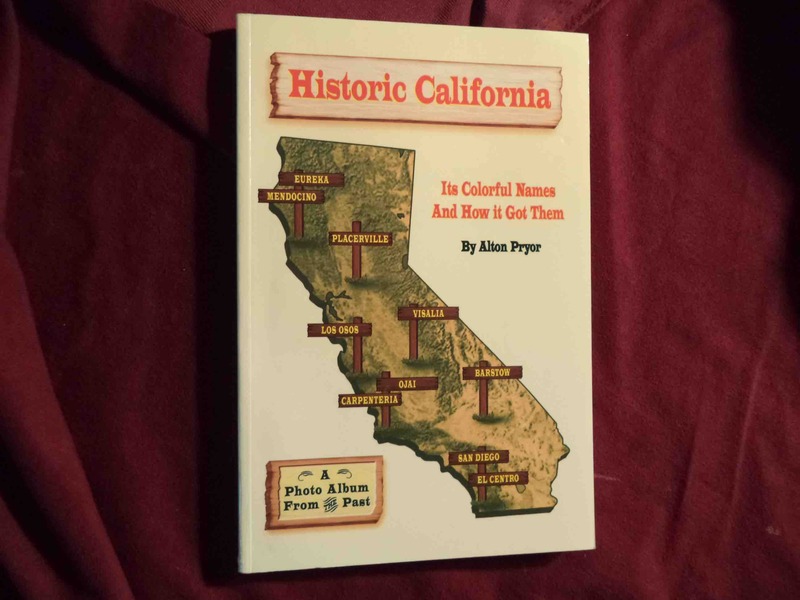 Historic California. Signed by the author. Its Colorful Names and How it Got Them. A Photo Album from the Past. Photo available. Roseville. Stagecoach. 2003. Octavo. Soft cover. Second edition. Illustrated. Signed by the author. Fine copy. Pryor, Alton. 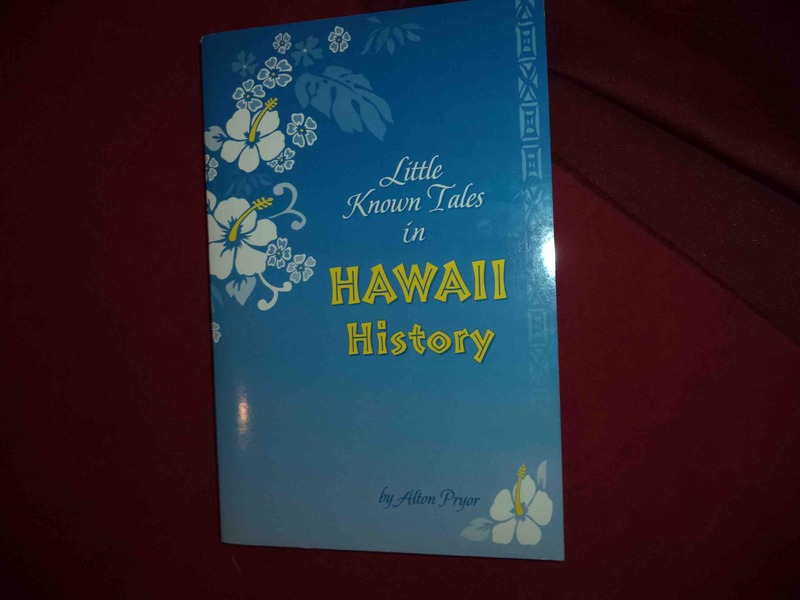 Little Known Tales in Hawaii History. Inscribed by the author. Photo available. Roseville. Stagecoach Publishing. 2004. Octavo. Soft cover. Second edition. Illustrated. Inscribed by the author "Aloha! Afton Pryor". Fine copy. Pryor, Alton. 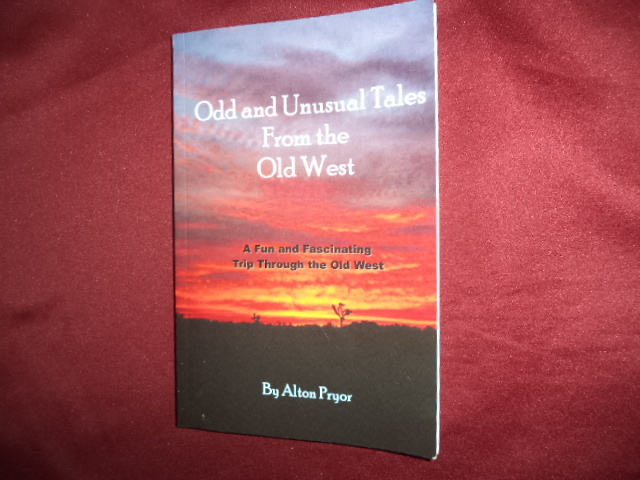 Odd and Unusual Tales From the Old West. (Signed by author). Photo available. Roseville. Stagecoach. 2006. 188 pps. Octavo. Soft cover. First edition. Illustrated. Signed by the author. Fine copy. Pryor, Alton. 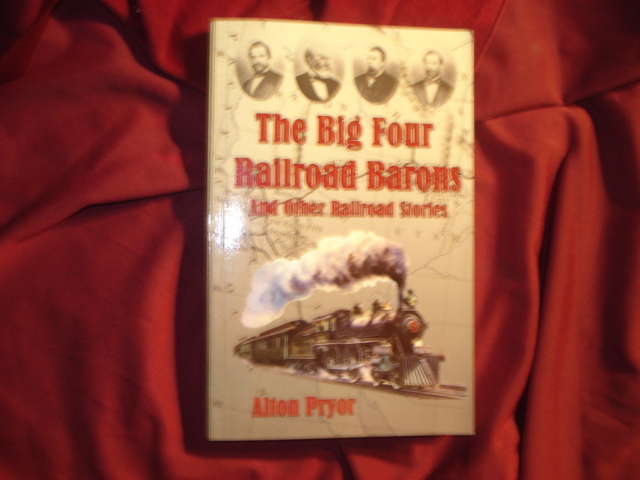 The Big Four Railroad Barons and Other Railroad Stories. Photo available. Roseville. Stagecoach. nd. Octavo. Soft cover. First edition. Illustrated. Fine copy. Pryor, Alton. The Mexican Land Grants of California. Signed by the author. Photo available. Roseville. Stagecoach Publisning. nd. Octavo. Soft cover. First edition. Signed by the author. Fine copy. Pryor, Felix (ed). The Faber Book of Letters. Letters Written in the English Language. 1578-1939. Photo available. London. Faber and Faber. 1988. Octavo. Hard cover. First edition. Fine copy in fine dust jacket (in mylar). Pryor, L.D. 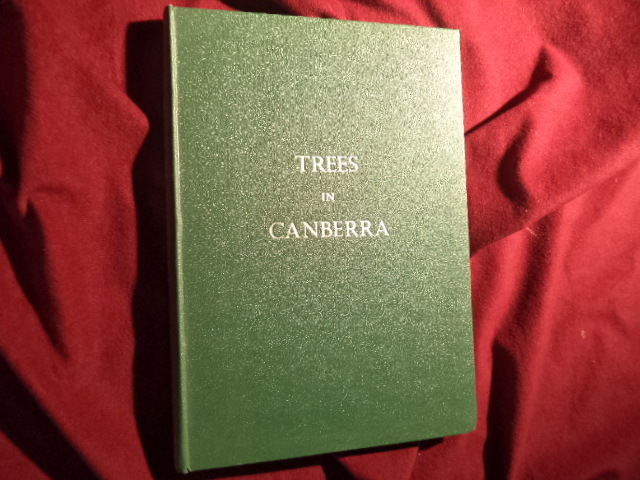 Trees in Canberra. Incorporating an New Section on Woody Shrubs. Photo available. Canberra. Self published. 1968. 199 pps. Octavo. Hardcover. Second edition. Illustrated. Important reference work. Fine copy. Pschorr, Elizabeth. A Privileged Marriage. Inscribed by the author. 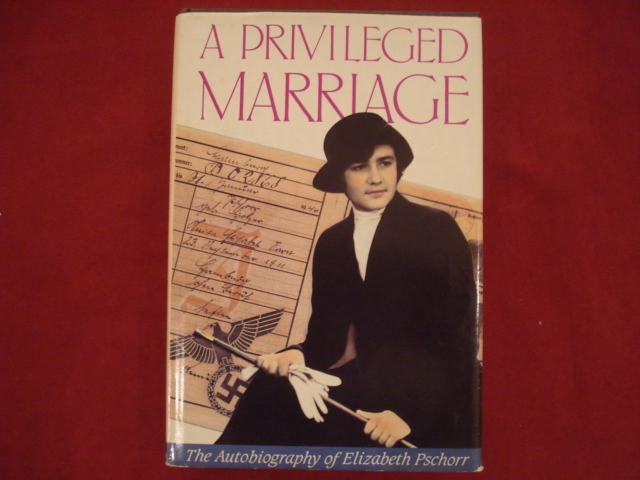 The Autobiography of Elizabeth Pschorr. Photo available. Sausalito. Windgate. 1994. Octavo. Hard cover. First edition. Illustrated. Inscribed by the author. Fine copy in fine dust jacket (in mylar). Puccini, Giacomo. 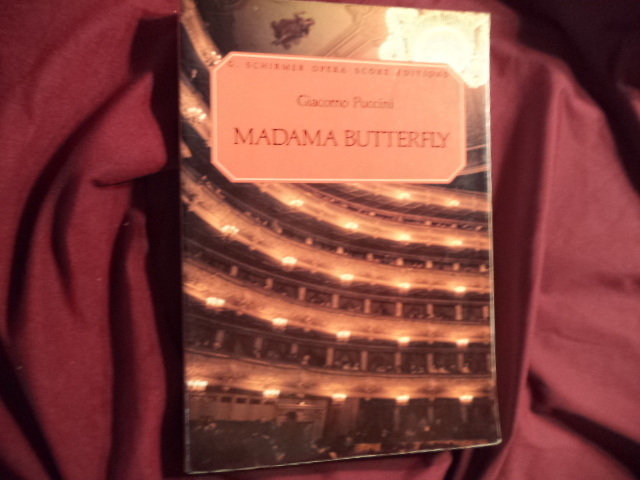 Madama Butterfly. Photo available. New York. G. Schirmer. 1968. 4to. Soft cover. First edition. Illustrated. Fine copy. Puckett, Fidelia Miller. 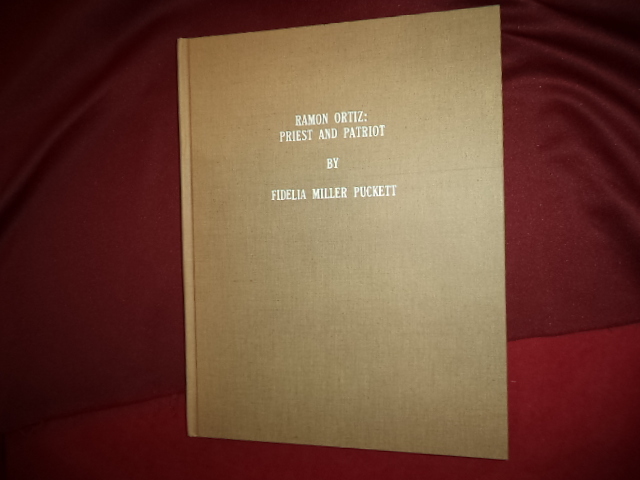 Ramon Ortiz: Priest and Patriot. Photo available. El Paso. Self published. 1935. 4to. Hardcover. First edition. Typed, unpublished manuscript. Related material laid in. Fine copy. Pudney, John. 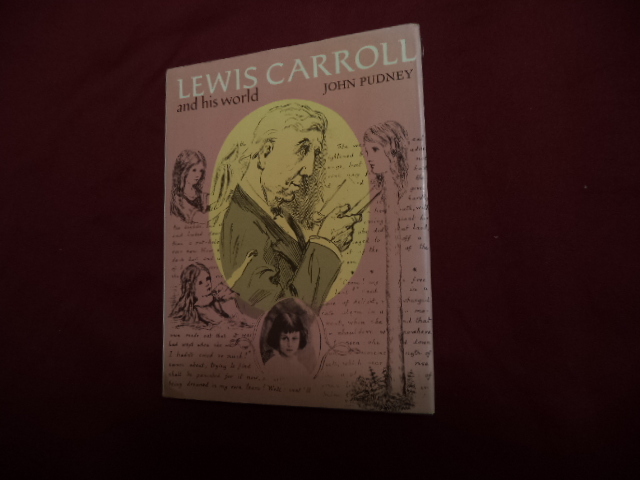 Lewis Carroll and His World. Photo available. New York. Charles Scribners. 1976. Octavo. Hardcover. First edition. Full number line. Illustrated. Important reference work. Fine (owner inscription on end paper) copy in fine dust jacket (in mylar). Puente, Carlos. 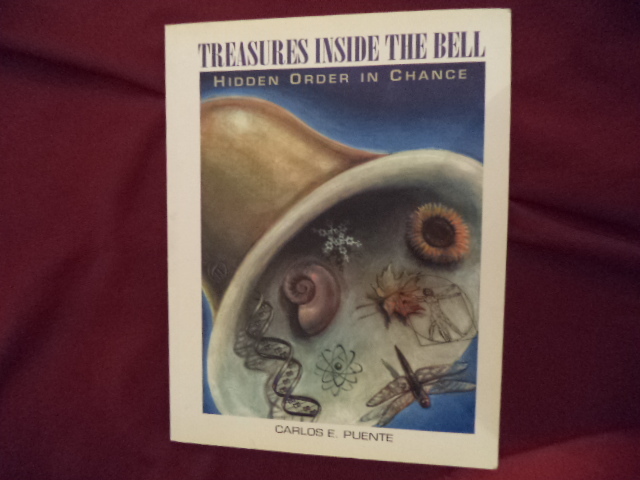 E. Treasures Inside the Bell. Hidden Order in Change. Unopened CD-Rom. Photo available. New Jersey. World Scientific. 2003. 97 pps. 4to. Soft cover. First edition. Illustrated in black, white and color. Important reference work. Fine copy. Unopened CD-Rom. Puget, Ollivier. The World's Great Sailing Ships. Photo available. New York. Barnes & Noble. 1998. 4to. Hard cover. Illustrated in black, white and color. Fine copy in fine dust jacket (in mylar). Pugliese, Domenico. Pietrasanta Sculture & Scultori. Rassegna Internaazionale di Scultura. Photo available. np. Edizioni Monte Altissimo. 2002. 4to. Soft cover. First edition. Illustrated. Fine copy. Pukui, Mary Kawena & Samuel Elbert. Hawaiian Dictionary. 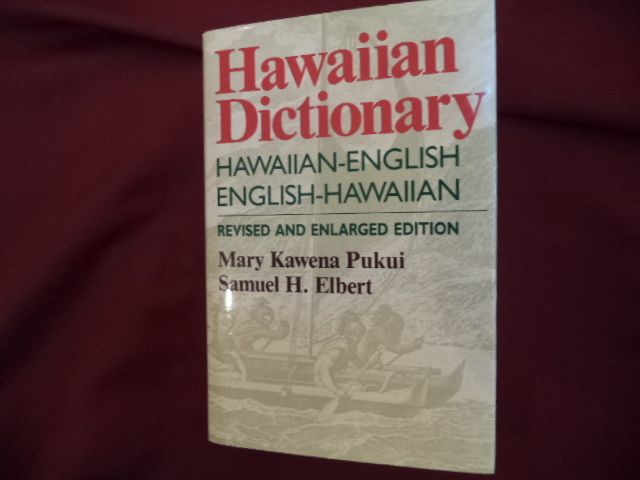 Hawaiian-English, English-Hawaiian. Photo available. Honolulu. University of Hawaii Press. 1986. 572 pps. 4to. Hardcover. Revised and enlarged edition. Important reference work. Fine copy in fine dust jacket (in mylar). Pukui, Mary Kawena, et al. Place Names of Hawaii. Photo available. Honolulu. University Press of Hawaii. 1974. 289 pps. Octavo. Hardcover. Illustrated. Important reference work. Fine copy in near fine (very light shelf wear) dust jacket (in mylar). 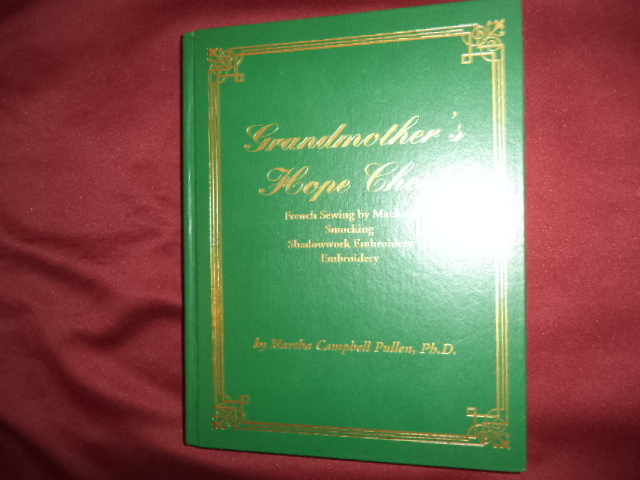 Pullen, Martha Campbell, Ph.D. Grandmother's Hope Chest. Deluxe binding. French Sewing by Machine. Smocking. Shadowwork Embroidery. Embroidery. Photo available. Huntsville. Self published. 1992. 352 pps. 4to. Gilt decorated hard cover. Green cloth. First edition. Illustrated in black, white and color. Important reference work. Fine copy. 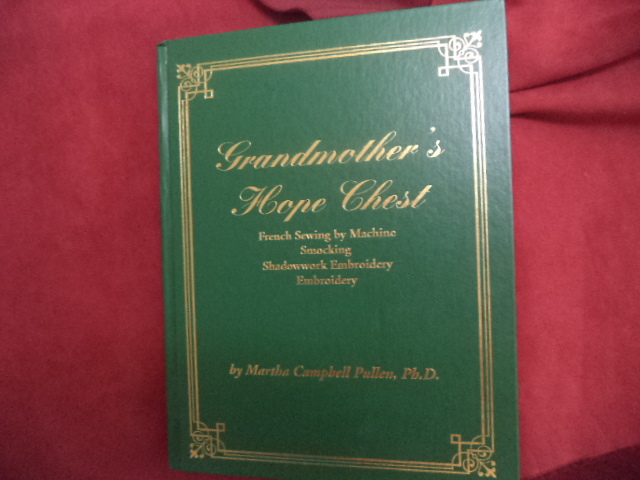 Pullen, Martha Campbell, Ph.D. Grandmother's Hope Chest. French Sewing by Machine. Smocking, Shadowwork Embroidery, Embroidery. Photo available. Huntsville. Self published. 1992. 352 pps. 4to. Gilt decorated hard cover. First edition. Illustrated in black, white and color. Important reference work. Fine copy (owner inscription on end paper). Pulling, Pierre. 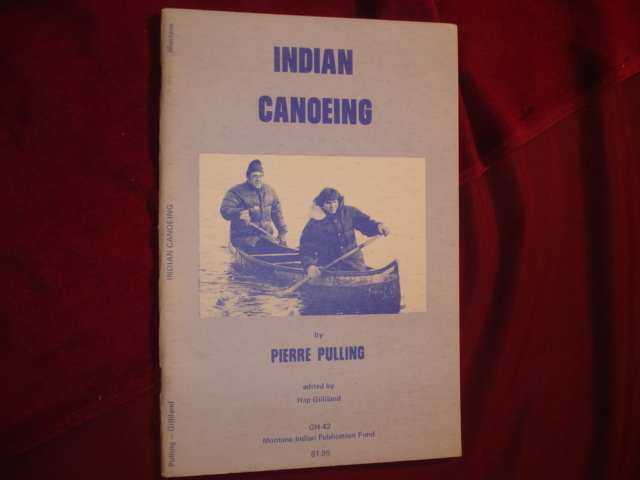 Indian Canoeing. Photo available. Billings. Montana Indian Pub. 1976. Octavo. Soft cover. First edition. Illustrated. Fine copy. Pumfrey, Stephen. Latitude & The Magnetic Earth. 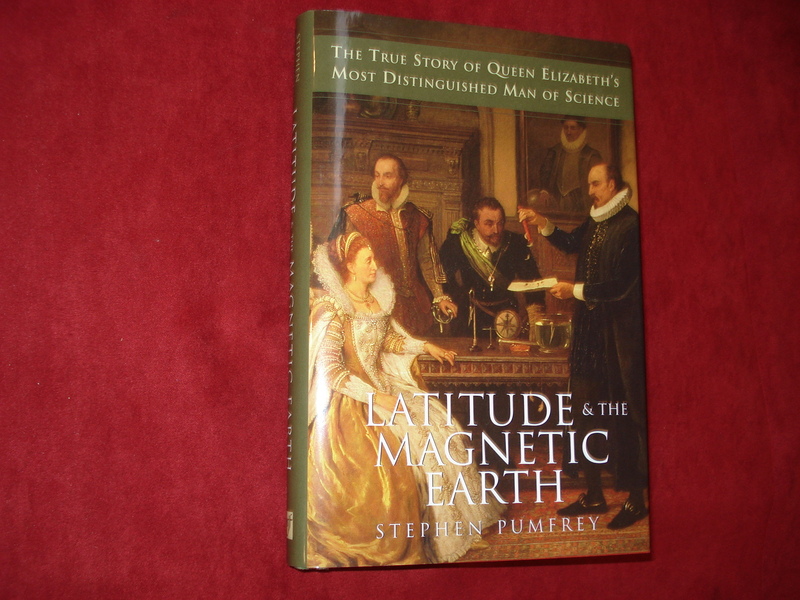 The True Story of Queen Elizabeth's Most Distinguished Man of Science. Photo available. New York. MJF. 2002. Octavo. Hard cover. First edition. Illustrated. Fine copy in fine dust jacket (in mylar). Puntillo, Ted. The Toads of Davis. A Saga of a Small Town. Photo available. Davis. T.P. Products. 1999. 46 pps. 4to. Decorated hard cover. First edition. Full number line. Illustrated in black, white and color. Fine copy (small hole on end paper). Purcell, William. Behold My Glory. Great Stories from the Bible and the Masterpieces They Have Inspired. Photo available. New York. Hawthorn. 1957. Octavo. Hard cover. First edition. Illustrated in black, white and color. Fine copy in fine dust jacket (in mylar).